The process of divorce is a complicated one. Navigating it alone is not easy, which is why hiring a divorce attorney should be a priority. To find a divorce lawyer, you’ll need to do your research. 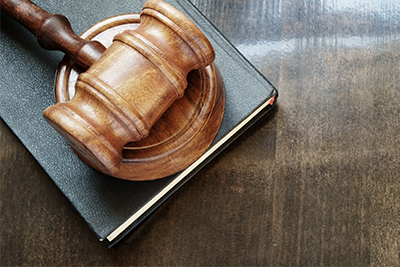 Here are a few suggestions from the attorneys of Spooner & Associates. Ask around: Contact people in your community who have used a divorce attorney and ask them about their experiences. Often the best source is a friend or neighbor. The more information you have about an attorney before meeting him or her, the better. Search online: The internet can be a valuable resource for finding an attorney near you, but you should have an open mind. Nice websites and good reviews reflect positively on a law firm. Negative reviews can also provide some insights. However, given the anonymous nature of reviews, negative comments could have been posted by a person that the firm had success against. You should also browse the attorney’s website to learn more about the attorney’s background. At this point, you may want to make contact with an attorney to discuss their experience with family law, typical clients, as well as general rates, both hourly and a retainer. Use this information to narrow down the field. Why did you become a divorce attorney? How do you feel about mediation? How many cases have you had that have gone to trial? What were the outcomes? Do you practice other kinds of law? You can also ask more specific questions about your situation and how the attorney would approach it through negotiation, mediation, or trial. The attorney will work for you and act as your legal adviser through the process, so you should understand your options for resolving your problem. Find out how your daily requests and emails will be handled. You may want to request to meet the assistant or paralegal that will be working on your case as well. You may also ask about a lawyer’s access to financial experts and other people that may help in the process. Assess the options: You want to win your case with someone you can trust. Weigh the experience of each attorney along with the costs and your gut feeling. Perhaps more than any other area of law, you need to find a family lawyer that is a good fit for you. Divorce is an extremely personal and emotional experience. Navigating the divorce process with an attorney that is professional, caring, and knowledgeable will be beneficial. Spooner Law can help you find a divorce attorney. Mr. Spooner and his associates have extensive experience in family law and offer free consultations that allow you to ask as many questions as you’d like. Family law clients can’t say enough, “It is not often that you find a law office where you actually feel as though the firm cares about you. Everyone at Spooner & Associates addresses my concerns with as much importance and urgency as they would their own. I won’t go anywhere else.” Learn more about Spooner and Associates Family Law services here. Scott is an attorney and founder of Spooner & Associates, PC, a family law firm focused on efficiently solving clients’ legal problems. 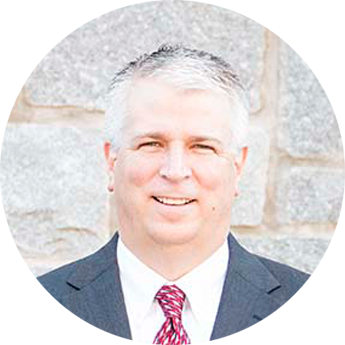 A graduate of Georgia State University College of Law, Scott has assisted clients in metro Atlanta and Northeast Georgia courts for over 15 years. He is also a registered mediator with the Georgia Office of Dispute Resolution in the areas of domestic relations mediation, general mediation, and arbitration. In addition to representing many of his clients at divorce mediations, Scott has also served as a mediator to help other divorcing couples reach an amicable resolution.